personally set for the owner, which may select which of the tones will mark the time. 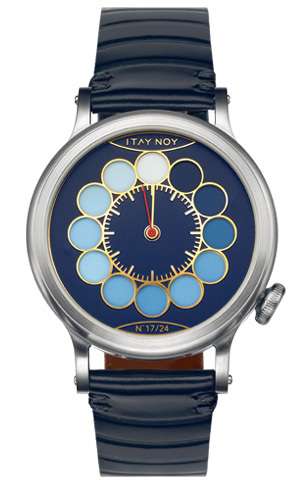 The hour hand in these watches replaced by a dial with 12 different tones of a single color (blue or black), which rotates on the face of the watch itself. 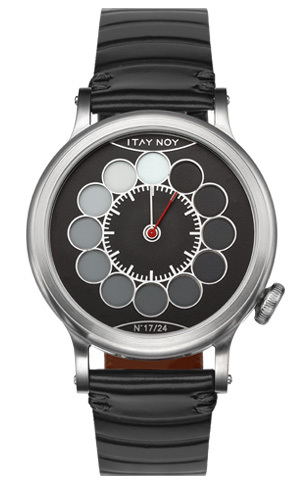 The watch is personally set for the owner, which may select which of the tones will mark the time. 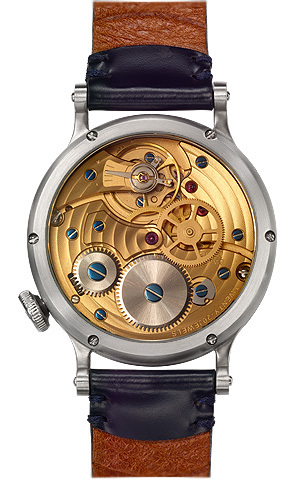 ONE OF TOP 5 BASEL WORLD 2016 WATCHES "I discovered a watchmaker with boundless creativity - each owner can choose which colored disc he or she wants to be the hour hand, keeping the reading of the time totally secret - I just love it!"